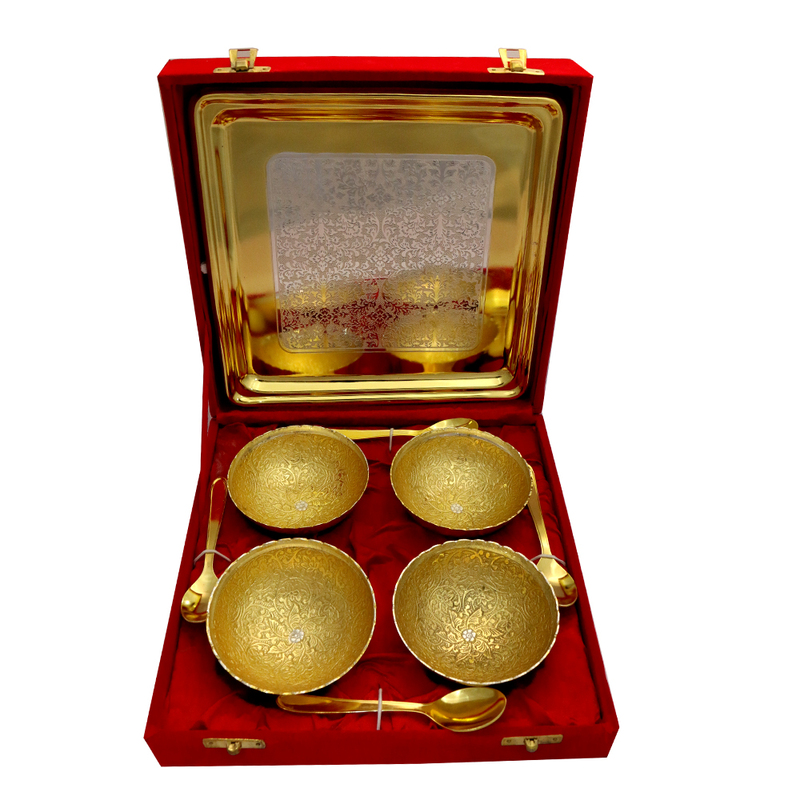 The German Silver 4 Round Shaped Bowl & Tray Set with 4 Spoons will hold appeal to all buyers of such exquisite cutlery sets which Read More..are sure to accentuate the taste of the food served in them. 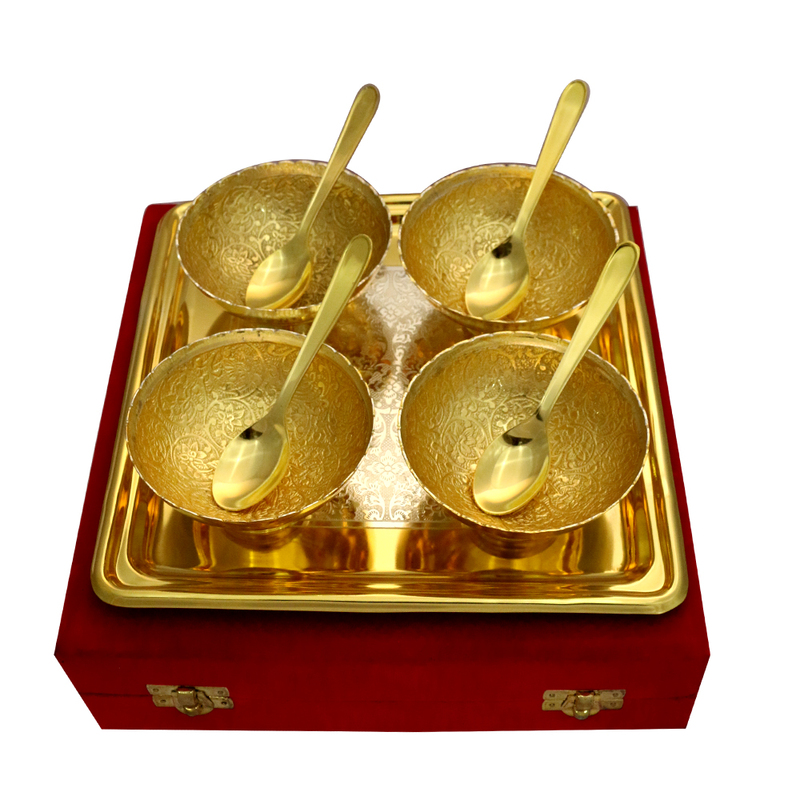 The warm golden hue of the round shaped bowls, along with the two spoons in matching colors makes this set a pleasure to behold. 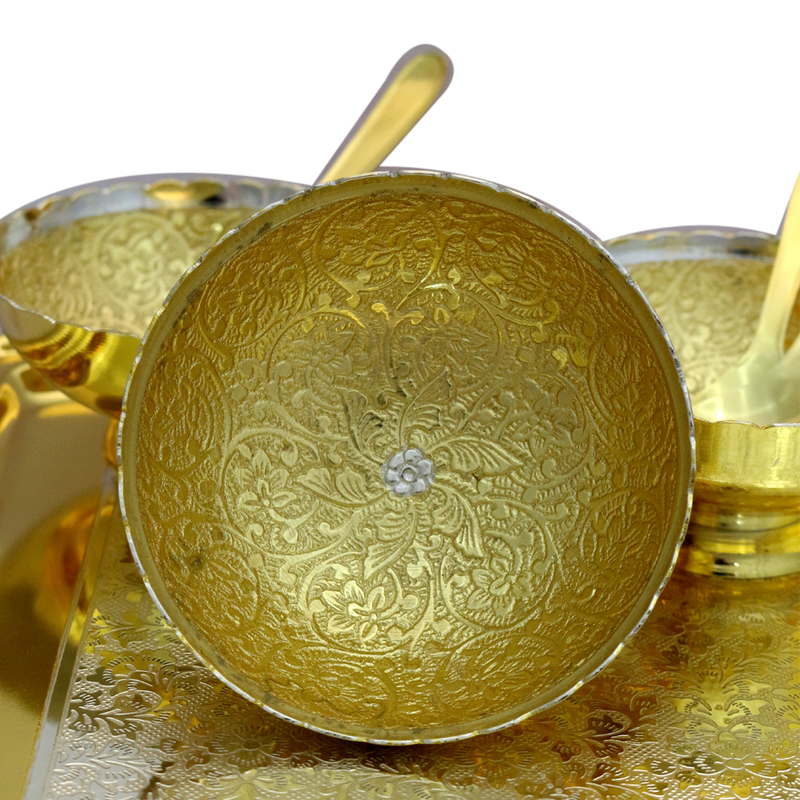 In addition to that, the two tones of the serving tray helps in adding to its charm, and ensuring that this set will not look out of place in the most lavish of surroundings. Show Less..